Centennial School sits on Treaty One land and our catchment area includes Treaty Three land. People have been learning on these lands for thousands of years, starting with the Anishinaabeg, Cree, Oji-Cree, Dakota, Dene, and Ojibwe peoples and continuing with the Metis. We respect the Treaties that were made on these territories, we acknowledge the harms and mistakes of the past, and we dedicate ourselves to move forward in partnership with Indigenous communities in the spirit pf reconciliation and collaboration. Centennial School is a kindergarten to grade six school located in beautiful Lac du Bonnet, Manitoba. 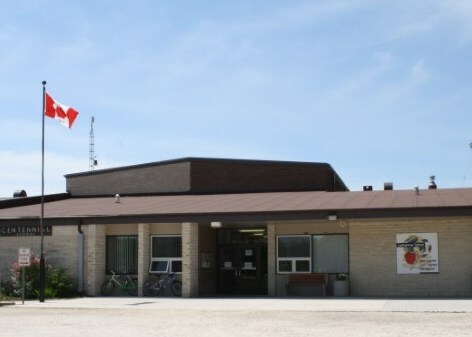 As part of Sunrise School Division, Centennial School serves the Town and Rural Municipality of Lac du Bonnet as well as neighbouring communities. Our current school population is 200. Centennial School offers the kindergarten to grade six Manitoba curriculum within a multi-age framework. The school is dedicated to the development of the whole child. This philosophy is supported by a comprehensive student support team that includes Resource, Counselling, Reading Recovery, Literacy Support, Numeracy Support, and Talent Development teachers. Curricular and extra-curricular programming includes Basic French, Music, the Integration of ICT across the Curriculum, daily Physical Education, AAA programming, student council, green team, social justice committee, intramural sports, various clubs, and a comprehensive wellness program supported by a Balanced School Day Schedule.